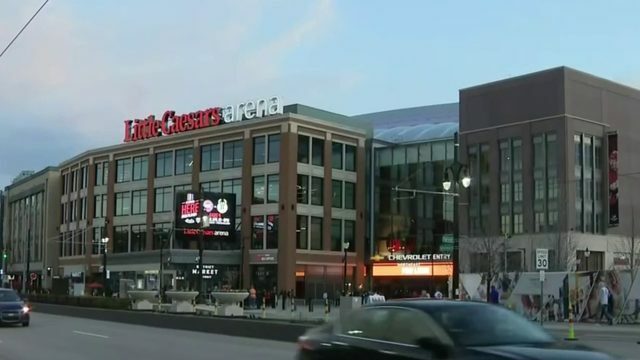 DETROIT - It is the time of year when everybody starts looking ahead, and not necessarily with optimism. 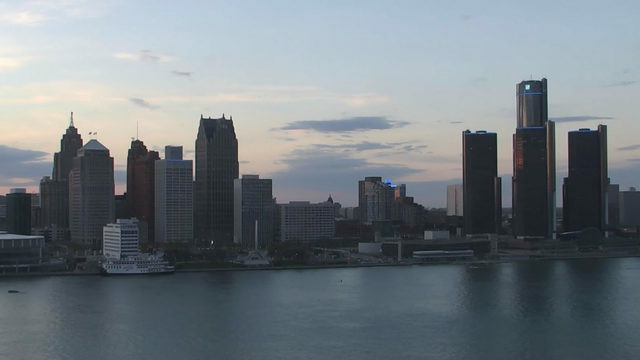 Daylight is shrinking as nights get longer, and temps are dropping. 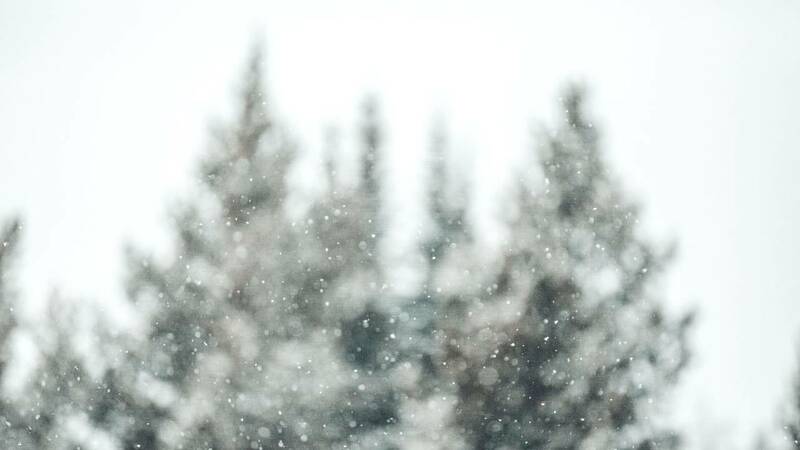 Before we know it, the pitter patter of little snowflakes will arrive. That question is typically not easy to answer but, this winter, a clue has arisen that is providing some meaningful guidance. Before getting to the forecast itself, you need to know what El Nino is. A lot of people don’t understand what El Niño (and it’s sister, La Niña) are and how they affect our weather. As you can imagine, the surface waters of our world’s oceans do not have the same temperature -- there are differences. In the Pacific, when prevailing winds push its warmer surface waters eastward, it’s called an El Niño. When those winds reverse and push those warmer surface waters westward toward Asia, it’s called La Niña. 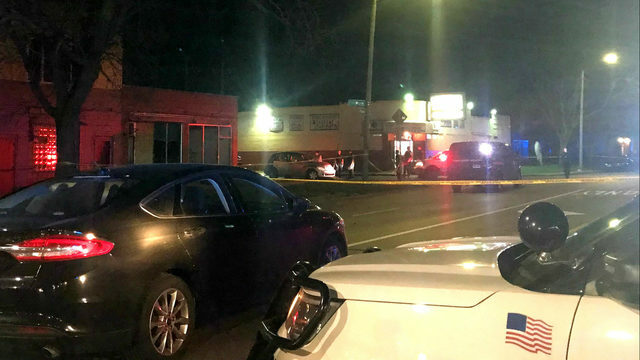 So what’s the big deal about this? Because there is a tremendous interaction between our oceans and the atmosphere -- more thunderstorms form where those warmer waters are, and that impacts the jet stream configuration. And, as we’ve explained many times in the past, the jet stream not only separates cold air masses from warmer ones, but it’s also our general storm track. In an El Niño winter, two things happen: The main Arctic jet stream tends to shift farther north, which limits Arctic air intrusions into our region. The farther north storm track sometimes gives us a drier than normal winter. 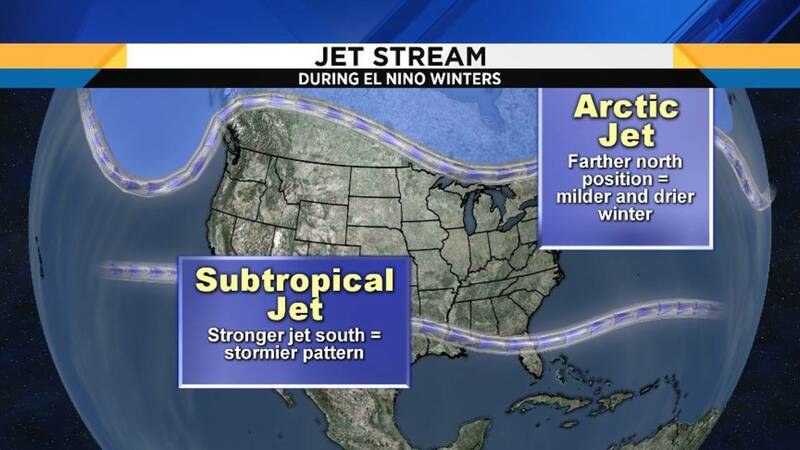 El Niños also strengthen the subtropical jet stream, which creates a more persistent storm track across the south, and gives them a cooler, rainier winter in general. 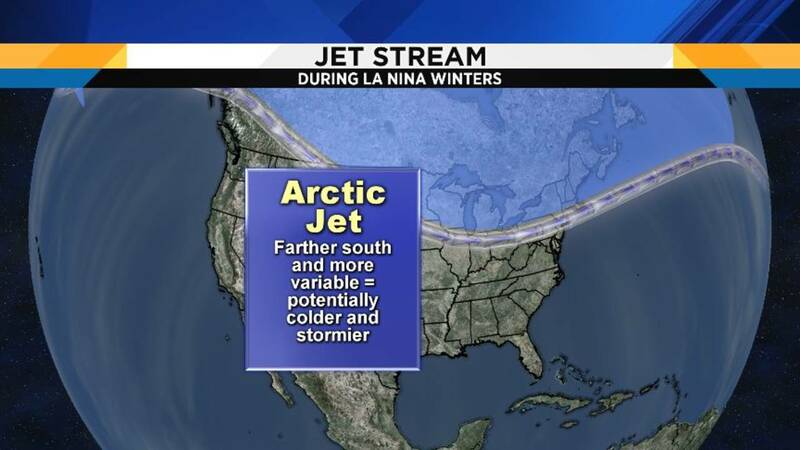 In a La Niña winter, the Arctic jet stream trends farther south, allowing more Arctic blasts into the Great Lakes. If the storm track is near us, that means more snow storms. Farther south, the subtropical jet stream is almost non-existent, so they have a drier, sunnier, more pleasant winter. If you’re a snowbird, you like La Niña winters. 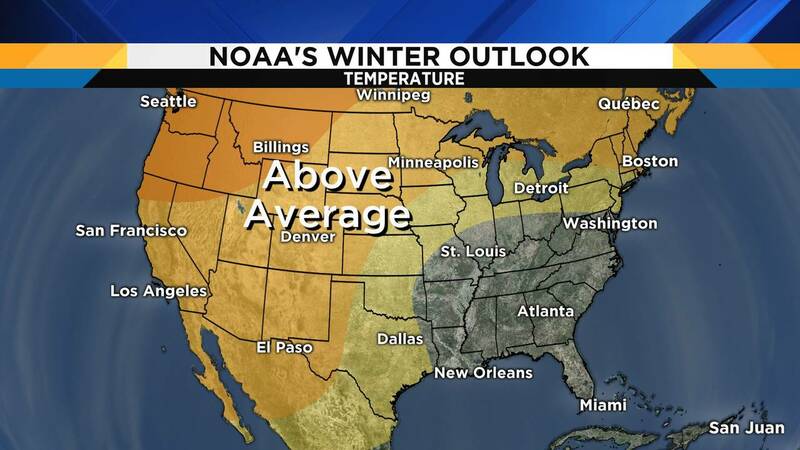 Here’s the NOAA forecast for the upcoming winter and, based upon what I explained above, you can easily see an El Niño influence on the expected general weather pattern across the country. 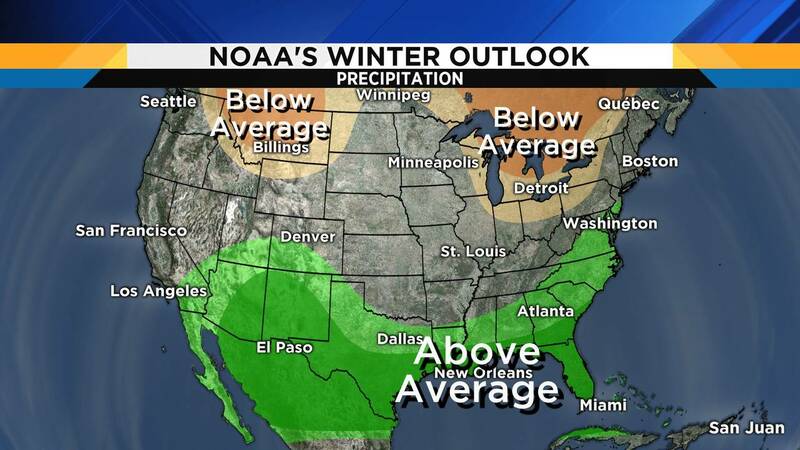 As you can see, the NOAA winter outlook calls for above average temperatures for us, and below average precipitation. But there are some important caveats. First, remember that these are averages for the entire winter, and we don’t necessarily know how that distribution of temperature and precipitation will play out. For example, let’s say we have a really cold December followed by a milder January and February. That would average out warmer for all three months, even though we had a harsh December. 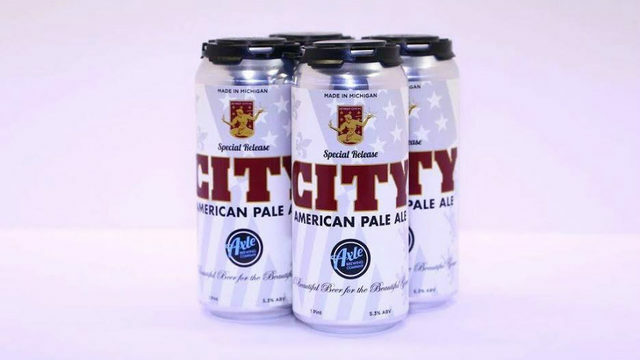 Or, let’s say we have a dry December, get slammed with snow in January, and then have a dry February. You might think it was a harsh winter based upon selective memory (we always remember the days we were stuck in snowy rush hour traffic, not the nice days) when, in actuality, most of it was benign. Also, keep in mind that this forecast does not mean that we can’t get a big snowstorm. We can still have some of those biggies in an otherwise drier than average winter. It’s sort of like Hurricane Andrew hitting south Florida in 1992 in a relatively quiet hurricane year. Another complication is that the El Nino this winter is expected to be a weak one. These winter forecasts are pretty easy when it’s a strong El Nino, like in the winters of 1982-83, 1997-98 or 2016-17. But when it’s a weak El Nino, then other ocean and atmospheric indicators (such as the Arctic Oscillation, the Antarctic Oscillation, the Pacific Decadal Oscillation, etc.) become more important.